Purchase a NEW In-Stock Kia from FOSTER KIA and receive a $750 discount above and beyond all standard Kia manufacturer incentives. Just bring in your coupon at the time of purchase. Valid until February 26th. Free Auto Show tickets with the purchase of a new car. The Canadian International Auto Show runs from February 16th to 25th at the Toronto Convention Centre. *The $750 Additional Bonus can be used towards the purchase or lease of any NEW 2018 Soul, Sportage, Sorento, Forte5 and Forte sedan models. This offer is combinable with all other Kia offers. Discount will be deducted from the negotiated price before taxes. 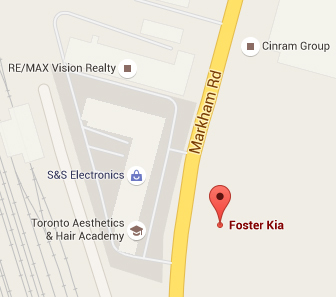 Some restrictions apply, please see Foster Kia for full details. This offer requires $250 dealer participation. This offer is subject to change without notice. Offer valid ONLY IN THE PROVINCE OF ONTARIO from February 16 to 26, 2018.